So how clean and renewable is the ACT’s power plan to combat climate change? Well, it’s the best in Australia on any measure says the ACT Government. Wind and solar energy investment, more and more battery storage, and divesting in fossil fuel companies. The investment includes a subsidy to achieve the 100 per cent renewable energy supply by 2020. This subsidy will peak at $5.50 a week for every household in 2020. All in all a commendable effort. Just don’t mention Dalton. Dalton you ask? Eighty kilometres north of the ACT, a proposed $1.5 billion gas-fired power station at Dalton, if approved, will be Canberra’s dirty (not-so-)little secret. Canberra’s electricity utility, the one that pays the territory regular dividends, is in partnership with AGL, which is proposing the new gas-fired power station. When all that solar and wind energy and battery storage fall short of meeting base load demand it will be this gas-fired plant and other fossil-fuel generators feeding into the national grid that keep the power on in Canberra. It is reasonable to allow a phase out period of coal and gas while renewables scale up for the job ahead, but how much slower will that transition be due to AGL’s new gas-fired power station at Dalton? Nine years ago ActewAGL abandoned plans for a gas-fired plant in Tuggeranong. Then a bigger one at Williamsdale, about 45 kilometres south of the city was proposed and deemed important. It too was scrapped. AGL says renewable energy still needs a back-up source for peak demand and that gas is the best transition option, emitting less greenhouse gases than coal. About 100 people live in Dalton, a quiet village three kilometres from AGL’s proposed gas-fired peaking plant. Mike Stone returned to Dalton from Canberra after a career in the public service. He lives off-grid in a cottage near his great grandfather’s 180 year-old wood slab building which he restored. AGL’s revival of a huge gas-fired peaking plant, with up to six jet turbines and 45m – high exhaust stacks is a nightmare for villagers. AGL says it will modify its original plan lodged in 2012, but no one knows what the latest modification will be. Mr Stone says AGL’s fossil-fuelled power plant across the ACT border is inconsistent with its commitment to Canberrans. “How can AGL be a respected partner in the Canberra energy plan under these circumstances?’’ he said. AGL is now asking NSW planning for a two year extension to its 2012 development approval because of industry developments over the past five years. “Dalton in the last five years has changed too,” Mr Stone says. “It is on the map as the next Murrumbateman or Gundaroo. We have had over $15 million worth of real estate investment here since AGL suspended the project in 2012. In recent times climate change campaigners like the ACT Conservation Council and 350.org have convinced the ACT Government to divest in fossil fuel companies, including AGL. But they won’t comment on AGL’s partnership or gas-fired power aspirations for Dalton. Acting Climate Change Minister Mick Gentleman was invited to comment and declined. Minister Shane Rattenbury is on leave. Do you think the government is being hypocritical being in partnership with AGL, saying nothing about a new, dirty big fossil fuel plant in Dalton while claiming to be Australia’s leader in renewable energy? Captions: top, this sign outside the Dalton hotel shows how people feel about AGL’s gas-fired power plant. Above, Mike Stone values his sustainable lifestyle at Dalton. Photos: John Thistleton. The power station uses large volumes of gas and will run on average four hours per day. Most of the 700kgs (per second) of exhaust coming from each turbine is heavier than air and comprises of NOx, BTEX and particulate matter. 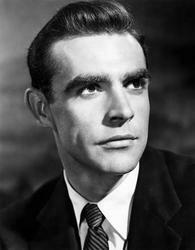 Depending on weather conditions, it will pool around Dalton or dump on Gunning or Yass. The station will certainly impact on ACT as AGL is tapping into the Moomba line upstream of the Canberra branch line so Canberra can expect to have gas shortages as the demand timings will coincide. The AGL site is 3-4km from the village because they didn’t want to spend money extending their branch line any further out to a safer location. I lived in Canberra for most of my life, I work in IT, We have a big screen TV, surround sound stereo, Xbox Play station, all the mod cons. 12 months ago I moved to Gunning( near Dalton) to build my dream home and live a more sustainable life. I also choose to go off grid. I have solar and batteries, no generator no grid backup. I still work in IT( in Canberra), still have the Big screen TV, surround sound stereo, xbox, play station etc. However with a little care I use about half the electricity that I did in Canberra and about a third that of the average Australian house. If people were more careful with their use( saving money in doing so, that 15-20% price hike should be kicking in any minute) there would be no need for this peaking station as we transitioned to full renewables. Remember these peakers run when demand and therefor prices are high. Gas plants also produce 80-85% the CO2 that Coal does, so not really environmentally friendly. Yes we need a way to transition to carbon neutral grid but with demand management this could be achieved with existing plants and not by building the largest Gas peaker in Australia . Its not just a Dalton\Gunning issue its an issue for ACT. NSW and Australia in the debate for carbon neutral power generation and stopping and reversing climate change. ITs an issue for us all. If you live at Gunning and commute to Canberra where you work then you would be driving a car and that wouldn’t be electric I guess so you have a big carbon footprint there. Some of us in Canberra will soon be commuting in trams which have no carbon foot print, so we are told, but who can believe anything a politician says these days? I drive a small car( very good mileage) when I have my kids and ride a motorcycle when I don’t( even better mileage). I also try to work from home where I can( fantastic mileage 😉 ). I have thought of getting an electric car and will once they are a little more mainstream. Maybe an electric bike too. This technology is developing rapidly and once there is some more competition there will be a much better range. As a percentage its about 40% power generation, 22% transport on average, so I have actually minimised the best I can. Canberra as a whole seem to support environmentally friendly idea’s, they voted in 2 Greens members, have supported the green energy plans of the local Government. but other than the Tip methane power generators( which I believe were put in to combat the methane from the tip, as methane is 30 times worse than CO2 as a green house gas) Canberra relies on other states for their power when you are not generating enough from your solar farms, you also pay extra for “green” energy however, is the electron that you are using actually coming from renewables? Its a question that should rightly be asked as your supplier( well 50% of ACTEWAGL) and local Government is still heavily investing in fossil fuel power generation. The reason this involves Canberra is that the ACT government is spruiking 100% renewables by 2020 and yet the company that provides the electricity/gas to Canberra is proposing a huge gas peaking plant just outside the ACT. Electricity is just that, it arrives at your house via poles and wires and despite what you may pay in “green power” penalties the electricity you get comes from all sources coal, gas, hydro, wind, solar. It cannot be segregated so you only get green power. If the sun isn’t shining or the wind isn’t blowing your power will come from a non renewable plant such as the one proposed in Dalton. Dalton is a town of about 100 people. It is a rural area with a background noise in the vicinity of 20dbA.The output from the power station stacks is 103dbA.This is equivalent to a pneumatic jack hammer at a distance of 1 metre. With nothing but a clear valley between the proposed plant and the town, AGL claims that this noise will attenuate down to 60dBA. Even if this fanciful claim were true, every 10dbA rise doubles the perceived loudness of the sound. If the noise around your house increased by 40dbA,do you think you could live there? How do you think your real estate values would fare? This project complies with NSW ‘industrial noise regs’. The problem is industrial regs have no place in a rural area. We hope you will help us by contacting your politicians and bringing to their attention, that the AGL part of ACTEW/AGL is proposing this completely non renewable power station, despite the governments stand on renewables. 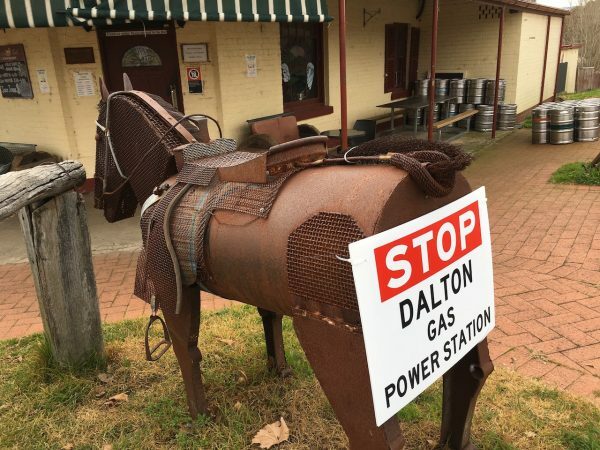 The good people of Dalton appealing to Canberrans to stop the gas peaking power plant should really look somewhere else. Canberrans don’t give a rats about the ‘prettiness’ of a area as long as it helps towards giving renewable energy. Look at the way we pay for wind farms to desecrate the land in other States, and indeed in todays paper more windmills are to blight the land at Ararat in Victoria. The photo shows lovely green rolling hills with windmills all over it. So good luck to you in Dalton, but I regret I won’t be putting any money on yous to win this. 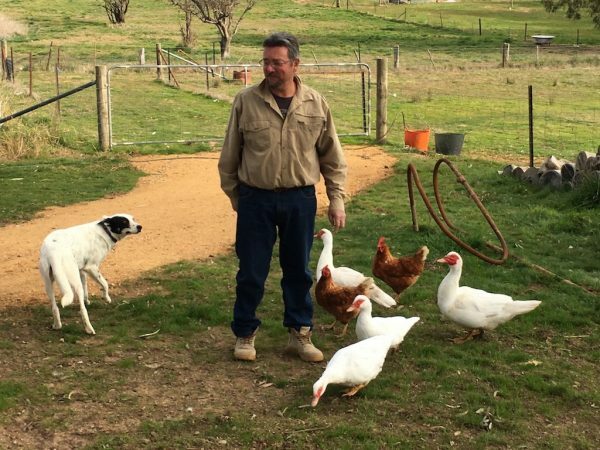 The irony – combating the impact that unsustainable cities are having on climate change has led to the possible demise of our little town and surrounding farm land that grows clean food and fibre for the cities. The farmland in the southern tablelands of NSW and country Victoria is turning in to nothing more than a giant power generator to run the Televisions and aiconditioners in the urban sprawl of our major cities. The reason dalton is now confronted by this is because the people of Canberra fought hard enough to not have it in there backyards . So they have slugged there way to our town . I have tried to look at this very open mindely trust me and I can’t find any benefit or reason why it would be good for our town . It will cause vibration ,enough to rattle windows as stated by themselves when they tried to buy off one of our elderly .the emissions will settle in our down pipes there for making our rain water u drinkable , our veggie patches will be contaminated , it will kill our rare species of fish that lives in the water ways that run close to there sight, a lot of our population are elderly , this is found to increase hospitalisation rate in people with respitory issues myself included . The list goes on . It’s to be situated 3 Klms from a primary school . Realestate agents have proven it will not just decrease our values but simply stop potential buyers . I bought here one month after they went dormant in 2012 was not told of the plan . I wouldn’t have bought here knowing that . We have several earthquakes , what will happen if it hits there given that it’s in direct line of the fault line . It’s only a matter of time until history repeats itself and a big sucker hits us . All over they are becoming more frequent . They will be tapping into bores ,known in one instance to have used up to half in one test effecting a neighbouring property . And keep your mitts off our Hume Heap open-air recycling factory too! I don’t think this is a NIMBY issue. The reawakening of the proposal to invest in a new huge gas peaking power plant at Dalton risks inhibiting investment in better, long-term, less polluting dispatchable energy solutions such as hydro or batteries. AGL have stated that they don’t know if they want to build the originally proposed power plant, or something different, but just want to keep their options open for another two years. This exacerbates the uncertainty in the energy market that has done such damage over the last several years, including by decreasing investment in renewables and pushing up energy prices. I think it is in everyone’s best interests if the AGL extension of lapse date for their Dalton power plant is refused, and they are encouraged to go away, decide what they want to build and where, and submit a sensible costed proposal under the new improved planning regime in NSW. Dalton is one of those beautiful, friendly easy going communities with generations of families who choose to stay there for the simple easy going way of life. It is a very comfortable safe way to live and I see kids on horses and bikes all hanging about the Main Street enjoying that freedom you don’t get in many places these days. My partner and I live in nearby Yass and are very regular visitors to the villiage. It is very sad that the proposed gas fired Power Project has basically been forced into the community with little or no warning to limit any real fightback. There is so much uncertainty in the community on how it wil effect everything from their livelihoods, environment and the future of this village appears grim if this goes ahead. I’m sure the government and AGL can come up with more smarter sustainable options to spend a billion dollars on that don’t impose on small communities and produce a cleaner and efficient power source. Would any of the corporate guys and politicians move their families within sight of these monstrous eye sores?? I don’t think so?? I really hope for Dalton’s sake that the companies wake up to what I’m sure will a ludicrously expensive mistake on all accounts!! How are pensions going to be funded when coal and iron ore mining royalties stop? You do realise the cash showered on Canberra comes from someone else’s tax. And only 50% of them pay net tax. No truer words in today’s world it would seem. This is our greatest concern in Dalton that we are viewed as expendable by government. That we don’t matter! Is it really ok to put at risk the livelihoods of 100 people for convenience and profit . . for the luxury of running the second TV, or the second fridge to hold the beer. By my standards it is not ok . . not by any measure. ACT residents twice stopped a gas fired peaking power plant being built within the ACT border because they had the numbers. The values of governments should not change simply because the issue is pushed a few kilometres further down the road, or reglardless of the distance, because of a thin burgundy line signifying a border on a map. Is the ACT government in support of the gas fired power plant being built just across the ACT border in Dalton NSW? It is a fair question to ask. You should put this question directly to the only two shareholders of Actew, the Territory owned corporation that is the 50% partner of ActewAGL. They are the ACT Chief Minister and the Deputy ACT Chief Minister. I’m wondering what exactly the residents have against the project? It’s seems from the article simply to be about house prices and visual impact from potentially being able to see the power plant. What exactly this has to do with the ACT I’m also struggling with. The plant is nowhere near the ACT, is not approved or regulated by the ACT government, nor proposed by a company controlled by the ACT. The only link seems to be the inspiration gained from ACT NIMBY’s in getting projects shelved in the past. On that score, I don’t think the NSW government is going to be as easily swayed…. This town is always dealt crumbs but we deal with it . I’ve noticed our town has started to grow & the majority is people escaping the Sydney smog life to live a healthy rural lifestyle . It will pose great impact on health ,elderly , farming , air qualify , rain water ,produce, property value . I ask those that oppose why we shouldn’t be fighting against it! Would you want to purchase your home ,to have it devalue & still remain paying the same mortgage . I doubt that , we all dream of retirement , living to enjoy it . Canberra didn’t want it &we share that same strong view . Put it where no one will be affected . Australia is a huge place , many places out there where people are not in close proximity . They’ve chosen here cause it’s cheap to buy , but to us it’s 10 years to make $5k profit . It will destroy our community , economy , industries & environment . The power will not benefit our town , it’s for Sydney. We don’t want to smell it , breathe it , here it , see it , feel it . This place was barely on the map until AGL sunk its claws in , tricking few folk into taking their measly offers . They are deceatful &cant be trusted , fail to answer the simplest questions. before choosing to find fault in our comments , find it in your hearts to see it from our side . 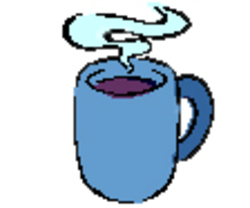 I don’t want my house to be unsellable ,my health to decline before it’s due time . We work hard ,look forward to retiring . My husband and I fell in love with Dalton, bought land, built a new house and moved to Dalton last November all this was done not knowing anything about the proposed Gas power plant. Us like many other new residents to the area have invested in the clean quite country living plus on top of this us like all of the long term locals cannot afford to move and start again. There has been over 15 million dollars invested into this area since 2014, that has to say something for the area. Someone out there has to be able to help put a stop to this Gas plant so everyone can get on with their lives. I have seen AGL doing some trumpet blowing in the media regarding their movement from away fossil fuels. I must have missed the reference to this project. I can see this could be a serious problem for the residents of Dalton if the approval extention has been granted and the development actually proceeds). The development is an AGL one and its web-site refers to the power station to be part of the NSW response to its energy needs. I get that the ACT suckles at the breast of the NSW power system, but I am not sure the allegations against us are entirely well founded. Seems to me that the ACT is doing what it can to minimise its use of the power generated so evilly across our border. Many of us pay our green power levy, have installed our solar panels and try to not be profligate with our usage. naturally, we could do better . . .
Any government given the choice between sourcing consistent power for its citizens and making a noble stand for 100 people who can’t even vote for it will be expected to sacrifice the 100 people and not lose any sleep. In any event, seems unlikely that the partnership between ACTEW-as-was and AGL would materially help the ACT lobbying AGL on behalf of Dalton; from AGL’s perspective the partnership is a very minor part of their operation. If the ACT steps up for Dalton, how not for the other townships living with the threat of proposed power stations with development approval? I assume that the residents of Dalton are currently on the NSW power grid and so are also the beneficiaries of the system that is now threatening them.